Perfect temperature control for measurements on melts and solids (DMA) and extensional rheology on films and fibers – the convection temperature devices for the MCR rheometer series make it happen. 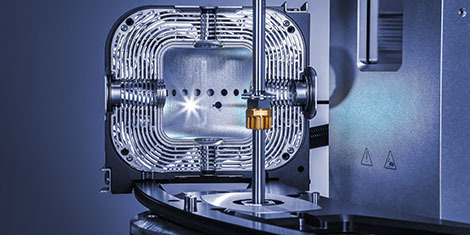 Due to their symmetric design, they guarantee an absolutely homogeneous temperature distribution and thus accurate and stable temperature control in all measuring systems, from parallel plates to solid bar fixtures, for optimal results when measuring polymer melts, glass melts, salt melts, metal melts, and solids. With their innovative design and comprehensive range of accessories, the convection temperature devices are a must for experienced rheologists. The convection temperature devices allow for controlling the greatest rheological influence of all: temperature. Benefit from an enormous temperature range to meet your specific sample requirements. At the same time the design gives you the possibility to use almost every measuring system from the extensive MCR accessory portfolio, from parallel-plate systems (including disposable systems) to dynamic mechanical analysis in torsion or extension. Furthermore, a controlled relative humidity can also be applied to the sample in combination with temperature. Rely on the high-precision temperature control required for truly accurate results for all kinds of rheological tests. State-of-the-art production techniques such as 3D metal printing bring temperature control to the next level. The unique design of the inner shells of the CTD 600 MDR convection temperature device, which are manufactured as one piece each, results in an absolutely homogeneous temperature distribution within the oven. With CTD 600 MDR, temperature gradients are a thing of the past. Additionally, only low gas flow rates are needed, minimizing unwanted effects on measurements due to air vortexes or drying samples. Rheological characterizations are performed on all kinds of materials, from low-viscosity liquids up to solids. To measure different kinds of samples, you require a variety of different measuring systems. This wide range of applications calls for temperature control solutions that give you full flexibility regarding temperature, measuring systems, and testing possibilities: The convection temperature devices from Anton Paar incorporate these requirements with large-volume ovens and a wide range of temperatures. Whichever choices you make, all temperature devices are swiftly and easily integrated and exchanged, and your rheometer reliably adapts to each new setup and temperature requirement. 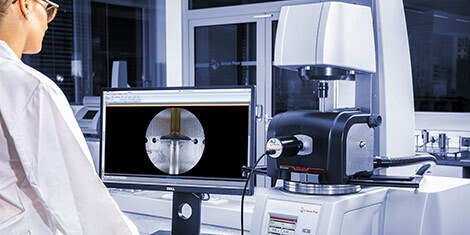 Patented MCR features make sure of this: Toolmaster™ automatically recognizes and configures all connected devices, TruGap™ controls and adjusts the rheometer’s actual measuring gap. T-Ready™ cuts short unnecessary waiting times by immediately detecting temperature equilibration. The integrated non-reflecting interior illumination of the CTD 600 MDR temperature device ensures a perfect view of your sample during the measurement. All the outside surfaces of Anton Paar’s convection temperature devices for the MCR series are touch-proof up to the highest temperatures. The exhausts are designed with cooling mechanisms to ensure safe and convenient use at any time, at any temperature. When closing the ovens, an integrated mechanism prevents the shells from touching the measuring system, avoiding damage to the device. The combination of the integrated interior illumination with the high-quality optical system of the digital eye camera ensures sharp and uniformly illuminated real-time pictures and videos of your sample over the complete temperature range. This allows for detailed investigations of different measurement effects, such as edge fracture, sagging, optically visible phase transitions, degradation, and gap emptying. Furthermore, this data can add valuable information to the analysis and validate measurement results. The real-time camera pictures and videos are displayed in the media explorer of the rheometer’s RheoCompass™ software and can be directly added to a diagram and assigned to the measuring points at which they were recorded. 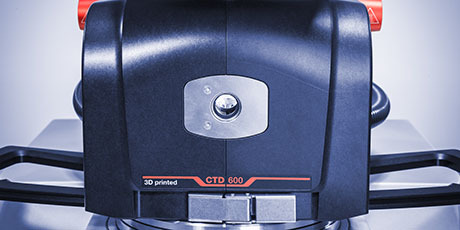 The digital eye camera can be installed on CTD in less than one minute.